Eight days after addressing Hurricane Harvey in Texas, the General Services Administration on Thursday pivoted to the Irma storm aimed at Florida, relaxing certain contracting rules to encourage speed and local awards. 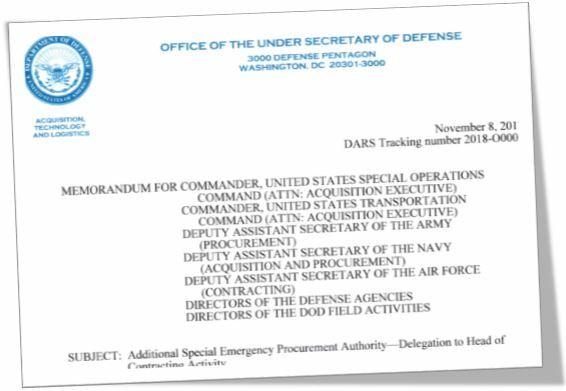 Senior Procurement Executive Jeffrey Koses signed a “memorandum raising thresholds for areas included in the Irma declaration response,” a GSA spokeswoman told Government Executive. The Irma memorandum follows an Aug. 29 directive issued in anticipation of rebuilding in the aftermath of the Houston-area flooding from Harvey. The Harvey memo cited sections of the Federal Acquisition Regulation allowing GSA to raise the micropurchase threshold to $20,000 for any contract to be awarded and performed, or purchase to be made in support of the designated disaster areas. “The simplified acquisition threshold is increased to $750,000, or $13,000,000 for commercial items,” the memo to GSA contracting professionals said. The authority extends to any necessary leasing of property.